GMI is well known for their high quality portable gas monitoring equipment the world over. Their commitment to excellence and reliability in the field of gas safety equipment continues to set the standard in a diverse range of industries. 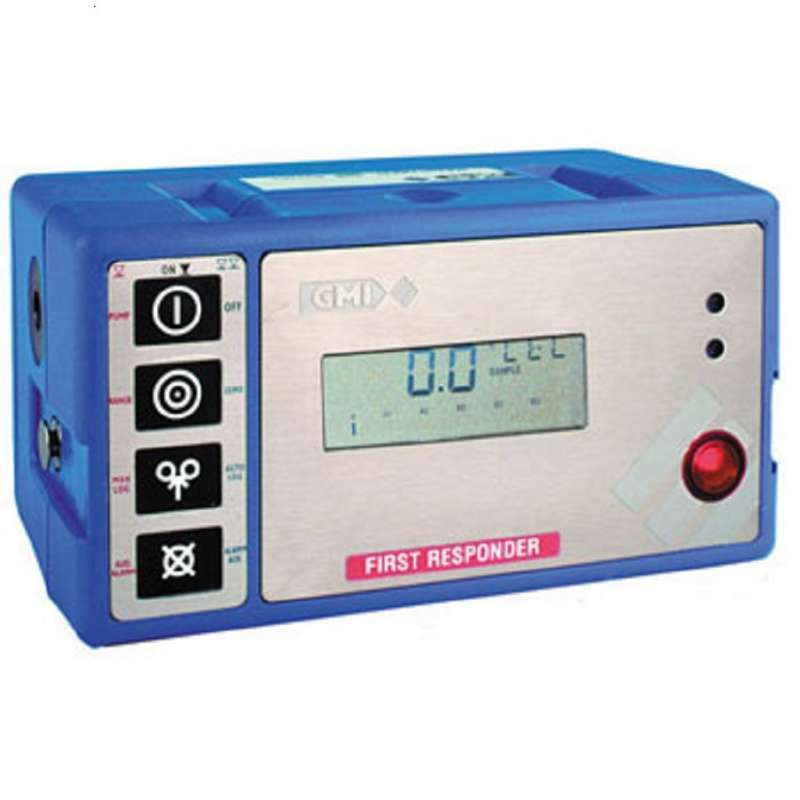 The GMI first responder combination instrument for first call and emergency response has been purpose designed for combustible gas detection by first response technicians. This unit is rugged and of high construction quality based on advanced technology and is both user-friendly and an extremely sensitive portal gas detector. It features simple four button operation which allows access to all of its features, and integral pump, rugged polypropylene case sealed to IP 54 rating. This unit is ideal for monitoring PPM, LDL and volume flammable gas ranges as well as carbon monoxide ranges for monitoring internal environmental atmosphere. 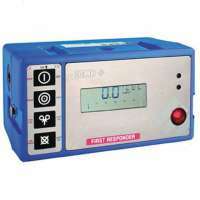 This unit also features a probe mounted semiconductor sensor which provides instant response leak detection along with a geiger type ticker alarm indicator. It also features automatic and manual datalogging, is fully certified to international standards and has a rechargeable battery optios as well as standard alkaline battery power. Fully IP 54 compliant for splash and dust protection, this is a highly robust and reliable first response portable gas detection unit.